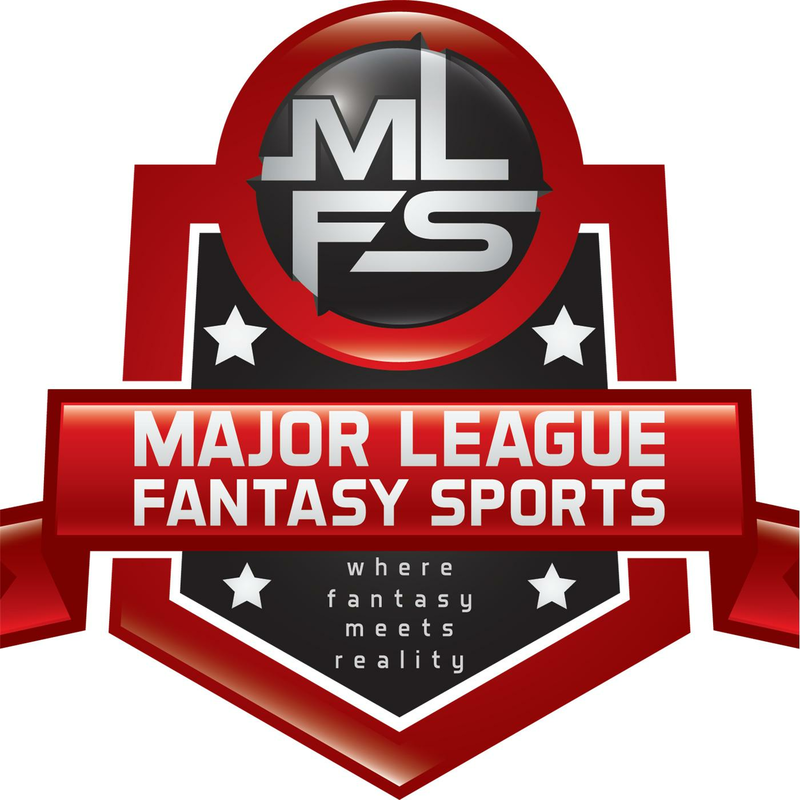 Hello and thanks for reading my first article for Major League Fantasy Sports of 2019. This week, I get to write about BOOM and BUST Relievers from 2018. Closers and other relievers are likely the most volatile positions in baseball, so this should be easy. We can all name 10 relievers who made us cry and 10 who got our juices flowing all in one season. But I only have room for five and five, so in each case there will be an honorable mention listing relievers who almost made my top, or bottom, five. Next week, I get to rank catchers for MLFS and then the next few weeks after that I get the daunting task of ranking relievers. And there are hundreds of them. We’ll likely keep it to the top 50 or 60. My emphasis will be on middle relievers who may be the next CLosers En Waiting. (CLEWS). Reliever is easily the most volatile position. Closers constantly get swapped out or traded or lose their gig to ineffectiveness. Middle relievers can be hit or miss from season to season, but can ascend to the closer role at any given time. In a standard Roto league this can be a challenge. One has to go by the “Don’t pay for Saves” theory and the “You can always find saves on the wire” theory to survive. Yes there are saves on the wire, but it depends on your league’s player acquisition system as to whether or not you have the ability to actually get them. I prefer FAAB leagues or leagues with limits on weekly moves to avoid that inequity, but that is a debate for another time. I also prefer leagues that reward middle relievers so we can actually assemble a bullpen and not just a stable of closers. That is also a debate for another time. The main point, no matter what format you are in, is to load up on as many middle relievers as you can fit. You want the high strikeout guys who also may have a clear path to a closer role if their team’s current one is to go down. (CLEWS) So, in this article I’ll include a couple of MR’s that you’ll wish you owned last season. In my Reliever Rankings that start in a couple of weeks, I’ll name off the middle relievers who I think have the best chance of collecting saves at some point in 2019. Your future BOOM candidates. Pitchers and catchers report this coming week. So, before that happens lets talk about some 2018 Booms and Busts. Booms: Players who exceeded expectations beyond what you paid for them. get him fairly late in drafts after all the closers and most of the other elite relievers were off the board. I think most owners remembered his failed attempts at seizing the closer’s role in Washington the years prior. I’ve been following him for several years now and drafted him a few years too early only to be disappointed. But I kept drafting him and he finished 2017 well enough for me to be down on him in 2018. Last season, he paid off, closing for the upstart A’s. Not only did he save 38 games, but he struck out 100 batters for the fist time, in 80 innings pitched against only 21 walks, about a 40% increase in K/BB over 2017. Oh, and his 0.78 ERA and 0.83 WHIP didn’t hurt either. He’ll be a lot tougher to get in 2019 as he is ranked as a top-10 closer in most rankings. I’ll be searching for the next Blake Treinen in the coming weeks when I rank relief pitchers for Major League Fantasy Sports. Josh Hader, RP, MIL: Hader may not have made this list had Corey Knebel not made the other list below. Then again, maybe he would have. He was valuable whether closing (12 saves) or pitching late innings (24 multi-inning appearances, 6 wins) He also struck out 143 batters in 81 innings, with a 15.8 K/9, which is like having another SP in your lineup every day. He reminds me of what Dellin Betances was with the Yanks early on, a strikeout machine who will not hurt you in other ways. If Knebel stays healthy, Hader will not build on the fluky 12 saves he had in 2018, but will likely snag a few. In most standard leagues, Hader went undrafted. That will never happen again. I would not doubt if he gets taken ahead of half the closers out there and I think he deserves that. I didn’t own him in 2018, but I’d love to snag him in 2019. In leagues that reward RP’s who don’t accumulate saves, he is a top five RP going into 2019 in my opinion, again, like Betances was. HE also gets his hair cut from the same guy that does the Mets deGrom and Syndergaard. Seranthony Dominguez, RP, PHI: Sir Anthony. 100% undrafted in all but Dynasty Leagues, He busted out in Philly in a big way in 2018. Before this season, he had never saved a single game in the minors and posted middling numbers for a starting pitcher with high walk rates. But he came out of nowhere in 2018 and stole the closer job away from Hector Neris. His FIP was 2.85 backing up his 2.95 ERA, he had an 11.5 K/9 which was more than any season in the minors and he had a lower walk rated than most of his MILB seasons. So, there is equal chance he regresses or at least comes back to the mean, as there is that he takes the closer job and runs with it. The Phils have been looking at established closers this offseason so anything is possible. They may not want him to be under playoff pressure as the closer in his sophomore season. Kirby Yates, RP, SDP: I’ve been high on Yates as a CLEW for a few years now, mainly because of his insane K rates. It took him until he was 31 to finally break out, and he did. Yates took the closer role after Brad Hand was traded and never looked back. He likely has the inside track to the role in SD this season as well. I’ll be watching for him later in the draft. Yates started the season as a set-up man, but ended up with 12 saves. He had a 2.14 ERA and 0.92 WHIP on the season with a 90/17 K/BB. Yeah, 90/17 or a K/9 of 12.9 and a BB/9 of 2.4. I picked him up in a few leagues once it seemed the Pads would trade Hand, and now I wish I could keep him. I’m all in on Yates in 2019 and I hope being a Padre will help him go relatively unnoticed and fall in the draft. Ha, not the sharks I play with. Jose Leclerc, RP, TEX: Another probable 2019 closer who burst on the scene in 2018, Leclerc is only 25, and found his way to 12 saves near the end of 2018. In what was essentially his sophomore season, this CLEW struck out 85 batters in 57 innings or a ridiculous K/9 of 13.3. He had an equally ridiculous ERA of 1.56 backed up by a 1.90 FIP. I missed the boat on Leclerc and was too late to the party when everyone was trying to figure out who the next TEX closer would be next season. I stayed away from that fray, unfortunately. Leclerc will likely be drafted higher than I would want to take him in 2019, but if he falls to me I’ll happily snag him. Adam Ottavino, RP, COL – (Now NYY): I figured I’d add one more middle reliever to the list here, and this is a pitcher who likely could close for most teams. Being signed by the Yanks won’t help that goal — at least not in 2019. Ottavino had one of his best MLB seasons in 2018 and he did it pitching in the rare air of Colorado after losing a season to TJ Surgery and then suffering through a tough 2017 comeback season (5.06 ERA and just over a 9 K/9) Mostly undrafted, but eventually 100% owned, Ottavino went 6-4 with six saves, a 2.43 ERA and 0.99 WHIP in 77.2 innings. His 13.0/K9 was his best ever, though he did also walk 36 batters, (4.2 K/9). His lightning arm whiffed 112 batters. We all like it when a reliever logs over 100 K’s. I’m all in on Ottavino in 2019 and not just because he is replacing David Robertson in NY. He seems to have a very dedicated fan club. Honorable mention: Jeremy Jeffress (15 Saves, 1.29 ERA, 10.4 K/9) , RP, MIL; Matt Barnes, RP, BOS; Chad Green & Dellin Betances, RP. NYY, Bud Norris, RP LAA (If all you wanted were saves), Brad Hand, RP SDP, NOW CLE (I think we all saw him coming). Jose Alvarado, RP, TBR, AJ Minter, RP, ATL, Will Smith, RP, SFG. Busts: Guys who did not give you what you paid for them. Corey Knebel, RP, MIL: I had him projected as a top five closer going into 2018. He did not start the season with the rest of the Crew following an injury and when he came back he was pretty rusty. By then, Josh Hader and Jeremy Jeffress had shown that they could do the job as well, so there was no reason to rush Knebel. But the Crew and we fantasy owners knew the best scenario was getting Knebel back in the ninth inning. After everything clicked in late June, Knebel saved 11 of 12 chances and struck out 74 batters in 44.2 innings. But he also lost some save chances to Hader and Jeffress along the way. If you want a good reason to believe he will be back in the ninth in 2019, know that he struck out 214 batters in 131 innings over the past two seasons against only 63 walks. That is not a misprint. He won’t fall too far in drafts in 2019 as many owners will remember that he saved almost 40 games for the Crew in 2018 and know about the K’s. However, I think you can draft a potential top 10 closer here well after the first 10 closers are off the board in 2019. Hader and Jeffress may steal some saves, but this is not going to be a committee. Don’t wait too long though. Jeurys Familia, RP, NYM, then OAK (Now NYM): I owned Familia on nearly all my teams in 2018. My pens were almost all made up of some combination of Treinen, Familia and Giles. I admit, I got Familia on the cheap drafting him after many of the top closers were gone. I have a bad memory for the most part in life, short-term anyway, but I remember players who have helped me before, and tend to think they will return to form after I draft them on the cheap. Familia did save 18 games for the Mets in the first half with a decent enough ERA, so I was happy considering he only had six saves in a suspension shortened 2017. But then the Mets pulled the rug out and traded him to the A’s. I kept him in my non-traditional scoring leagues that value middle relievers, as he was great in OAK, pitching to a 2.65 FIP, but in traditional Roto leagues he became worthless as Treinen was not about to lose his job in OAK. He’ll likely have value in 2019 in the Mets pen, but his closing days are over, at least for the Mets. I’ll draft him in those non-traditional leagues and i can likely get him pretty late. So, even though he pitched well in 2019, I included him in my busts since he lost his closer job mid-season, which is never good for fantasy. Ken Giles, RP HOU/TOR: I had high hopes for Giles in his age 27 season. I thought it would be the year he would smooth his rough mechanics and bust out as one of the best relievers in the game. I drafted him on most of my teams, and was trading him by June, just as the Stros did. Yep, I went into 2018 with Giles and Treinen as my top two closers on at least four of my teams. Giles got off to a horrible start in 2018 and lost his closer gig by July when he had an epic implosion that left him with a 4.99 ERA. I think the Stros and all of us gave up on him that night. What did he do once he got traded to Toronto? Well, he got hammered in his first game — three days after they traded for him. But then something clicked, like what has happened before with the electric armed Giles, as he went the next couple months with a 1.59 ERA and 18/3 K/BB. He finished the season with 26 saves, but I think the baseball world was pretty down on him by then. He could be a big time bargain in 2019 with nearly no competition for the closer gig in Toronto. I’m buying, again, but only at a deep discount. He does have top 10 closer potential. His wife is also a pro softball player. Imagine them playing catch? Alex Colome, RP, TBR, SEA & (Now CHW): Colome didn’t have a horrible season for a set-up man. In fact, once he was traded to SEA, he was lights out with a 2.53 ERA and 9.5 K/9. He is on this list because he was drafted as a top 10 closer after saving 47 games for the Rays in 2018. Prior to the trade, he only saved 12 games and had a 4.15 ERA. If you drafted him early, you seriously did not get what you paid for. We’ll see what role he’ll play in Chicago in spring training. I doubt I’ll be owning him. I don’t think I ever have. Kelvin Herrera, RP, KC/WAS: He saved 26 games for the Royals in 2017 and was drafted as a closer, a job he kept in KC (14 Saves) until he was traded to WAS. He also missed some time with an injury. The NATS were set at closer, so he was a set-up man the rest of the season. Like Colome above, he was a bust more because he lost the closer role than a lack of quality pitching. He is young still, though, and now we know he can close. I’ve never owned him and, unless he falls pretty far, I likely won’t now either. Honorable mention: Cody Allen, RP, CLE (Now LAA), Zach Britton, RP BAL & NYY, Andrew Miller, RP, CLE (Now STL), Keone Kela, RP, TEX & PIT (if you drafted him as a closer), Mark Melancon, RP SFG. Thanks for reading, and as always I’ll be on Reddit today talking Relievers or anything else baseball. Tune in next week when I rank major league catchers. Where will I rank JT Realmuto? Where will I rank Gary Sanchez? Check it out next week and find out. Email direct or Tweet me if you want as well.